Rumors abound of a no man’s land trapped between two great empires; where wilderness and ancient battlefields dot the countryside, and provincial rulers rise and fall in their bids for power. You might think to steer clear of such a volatile region, but you’d be wrong… for these are the Unconquered Kingdoms, July’s Campaign of the Month! So come! Gather your boldest retainers as we meet with the true power of this realm SkidAce, the Game Master. First off, feel free to tell us about the person behind the GM screen. Where are you from? What do you do aside from gaming? Alter Egos? Wife and kids? Where can we stalk you on the internet. Let us know if you feel so inclined! My name is Chris and I am semi­retired, living in Virgina, USA. I was a policeman in the Air Force for 26 years, and now I work at Barnes and Noble, selling books and giving people advice. Unsurprisingly, I am considered the sci fi and fantasy expert and one of the gaming experts, along with Luci, who plays Frederick the bard. The other players are an eclectic mix of current and retired military, retail, and computer systems experts of all ages. Some like me have played since basic D&D, others just started with 5e, and everything in between. We are scattered across the United States, and when the military sends those still in on deployment, across the world. Tell us about Unconquered Kingdoms in a nutshell. How did it come to be and how long has the campaign been going on? Unconquered Kingdoms is the previously undetailed area between the Varencian Empire and the Anquis Imperium, in the world of Alfaysia. When I retired, my friend who plays the “merchant/ninja” named Blend suggested that we find some way to keep our gaming going. The world of Alfaysia has been the site of many campaigns over the years, and I decided to set this campaign in new area. We made contact with some old gaming friends of his, and some of the new people I had met, and started gaming on Obsidian Portal around June of 2012. After discussion on the kind of play they wanted, we decided on a mix between realm management and adventures. Each character chose a style of management loosely based on the old TSR Birthright system. 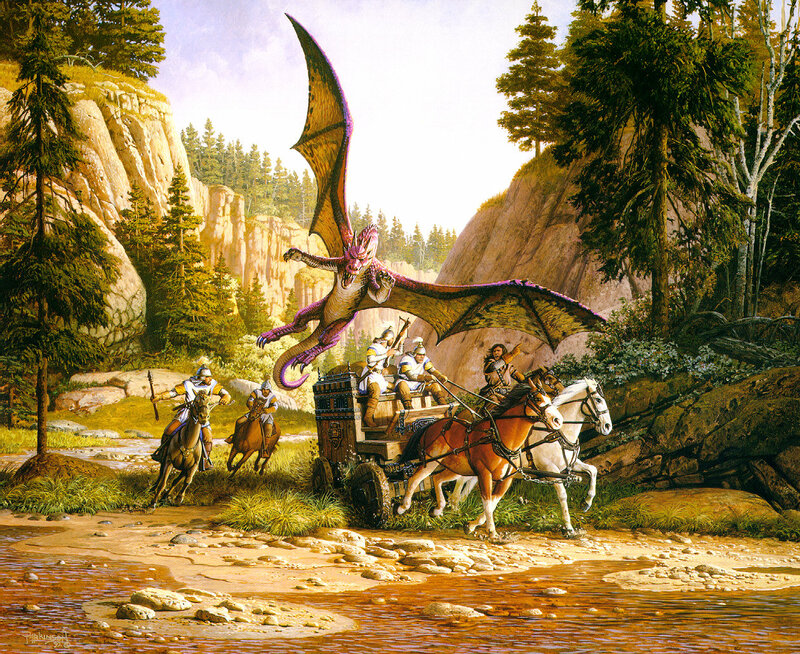 The characters are based in the kingdom of Falconaire, and started off doing errands for the lords of the land. This led to them having influence over the reins of power in the area. Our ranger, Nitram is a great example. He lost his homeland (a country to the east) to the same ogre and goblin armies that threaten Falconaire currently. So his goal was to defend and protect the border of the area. He became a deputy to the king’s right hand man, and eventually grew to equal authority and status, ruling a province called Farhills where the characters are currently based. 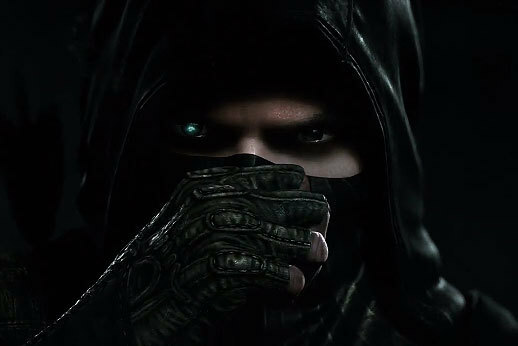 Blend, the merchant/ninja has garnered great economic control of not only the guilds in their province, but also the black market guilds in the shady city of Capone, which lies on the border of their area. 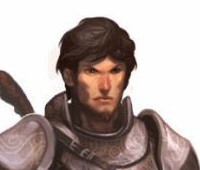 Aeron, our wizard, suffered a magical setback, and having lost some of his magical prowess, is now an Eldritch Knight, a Magi of the old order. His character was developing magical items and research integral to governing the area, which is rich in ley lines, and sources of power. Frederick the bard recently learned to tap into the natural magic of the land/ley lines, and is on the verge of being able to cast domain spells. 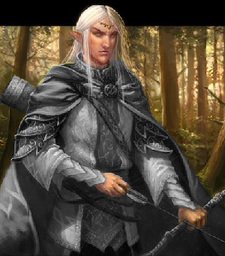 Rúmil, our custom sorcerer is “on loan”, along with a unit of elven scouts as the liaison between the area the group rules and the nearby elven queen. 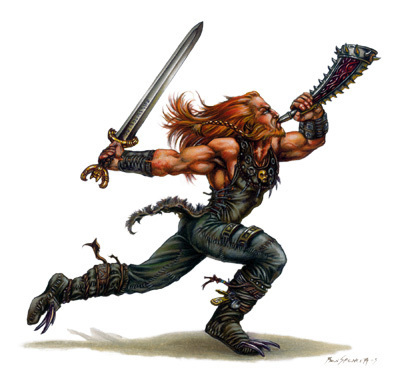 Dast, the warrior is our newest addition, and seems to also have some connection to the older magics of the land. We are functionally a play by post campaign and we play every day. The “mandate” if you will is to post once a day. The players have quite a bit of freedom to describe their actions in response to my posts, and then I update accordingly. Since we have time to think, and no requirement for all of us to met at any certain time, this style of play leads to very deep and rich roleplaying. Combat is a little harder, especially when the person whos turn it is has been unable to post for several days. However, with a loose narrative, and some creative timing (if they miss their turn, we continue, but work the actions they missed right back in to the game) we have had some fairly great battles! As stated, we play by post in the forums, and eventually we convert it into pure story and post an adventure log (this is our one week spot, we fall behind here). So I have created an example adventure log with “raw footage” from one of our recent battles, so people can see how we play. I used to use Maptools to automate the player’s rolls, and to export the map for them to see. 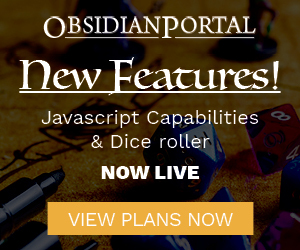 This works great, but involves a lot of prep (macros and such), and I am considering converting to Roll20 where they can more easily maintain their characters. Your campaign is run on the Dungeons and Dragons 5e system. How does it compare to other systems you may have played in the past? How much do you draw from DnD campaign settings if at all? Every system has its pluses and minuses, and what works for one group may not work for another. Having said that, there were two closely related reasons we switched to 5e when it came out. The first was simplicity and the lack of…so…many…modifiers. This made it easier to arbitrate over play by post. We had played 4e in person, and used Pathfinder for Unconquered Kingdoms for several years. The one world we ended up using for 5e the most was “elegant”. We found, along with the simplicity, that a lot of our character concepts could be built with backgrounds, feats, or a little multiclassing. Everything seemed to fit together well, and we kept on using 5e. Aside from Dungeons and Dragons 5e, what other systems have you played? What others do you still play? Are there any systems you have not played that you might be interested in? If you are into campaign rulership and management, the best inspiration is the old Birthright campaign setting. Converting the rules can be a headache, and in several instances we had to use more of the idea and intent than the actual rules. But overall the balance between different sources of leadership, and the guidelines on NPC realms were vital to making the area a living breathing world. Oh, and the players are about to encounter “The Spider”, so that’s always fun. For play by post and longevity, the key is to make sure you keep each player involved. Its hard, and I have gotten better and worse at it, but simply, every time I update I try to post a hook, or some tidbit of info that will entice the player to reply, as opposed to just waiting for their turn. All the rage in the early 80s. I don’t think there’s any way I could have not gotten involved in tabletop. A sci fi fantasy fan living in the country, had to share the love of books and movies with anyone of a similar nature, and one thing always leads to another. Since 2010. Even before gaming with it, it was a perfect repository for my world info, that I could access from anywhere. Unconquered Kingdoms has links to certain information common to the main world at my other site, Alfaysia. Such as the gods, a larger overview of the regions etc. 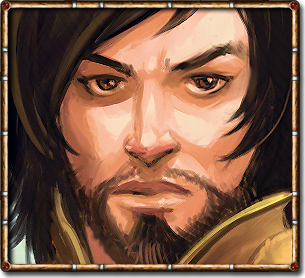 What does the future have in store for the characters in Unconquered Kingdoms? Without giving the game away, is there anything you can surmise……? Well considering they have survived an assault on their keep by ogre armies, a hurricane ice storm, and a direct attack by Trogdor, I suspect they will attempt to slowly drive the forces of evil back out of Falconaire. Or, if not, they could end up being the sole bastion of civilization as other kingdoms fall around them. They are beginning to suspect that the nations that sent units and armed support might have ulterior motives, and might not want to go back home. So basically they have a chance to influence not only their kingdom’s well being, but that of the kingdoms around them. And if the entire area goes up, it could cause the empires of the Anquis Imperium and Varencia to intervene. And who wants that? These are the “Unconquered” Kingdoms after all, fiercely independent. Your wiki is quite well customized, even down to your navigation bar (e.g. No “Maps” and plenty of “Items”, etc). Do you do all the work yourself or do the players contribute as well? The players are the heart and soul of this game, their ideas, their concepts, their development of new mechanics, classes, items etc, is all fantastic and this campaign would not be as good as it is without them. But, the coding is mostly me, with ideas and approval from them. I’m the semi-retired one after all. You have been using the OP Public Forums for quite some time. What would you say are the biggest benefits from keeping up with the Public Forum threads? To those OP newcomers not frequenting the forums, what would you say? The people in the public threads are the second reason Unconquered Kingdoms has done as well as it has. Their advice, along with the code I steal and modify is why it looks so good. All I do is twist and tweak it into a coherent whole. If you had to pick just one thing, what would you say Obsidian Portal helps you with the most? Information storage and retrieval, to include sharing with others. As said, we are sometimes spread about the globe in different time zones, so the ability for me to put up info about a player’s organization, or an NPC and then go to bed, knowing they will see it when they can is fantastic. And linking pictures. I usually spend my hobby time fiddling with the wiki and the background info. Direct preparation for a game is ongoing, since we play adventures over an extended time frame, but when a plot twist occurs, I usually spend 2 or 3 hours preparing monsters, maps, NPCs etc. I currently use Campaign Cartographer to make my maps, Maptools or Roll20 to integrate character tokens with the maps, and I use Evernote to store my working adventure notes, such as the branching plot outline (I use node based design). Its hard. The blood witches and wererat arc was great, the players almost burned the town down. I also liked when they awoke a carnifex, but who doesn’t love evil ancient dinosaur arch wizards? But if I had to choose an arc, it would be the Mighty Ice Fortress story – Where the entire keep was surrounded by an ice hurricane that was slowly killing everyone off. Attacking ice elementals, ogre magi, and a red herring adventure where they encountered harpies! Like everything else, I have stolen my advice from those that came before me. The Game Philosophy page contains several articles from the Alexandrian that I have collected. My best advice? Don’t get adversarial with your players and make sure everyone is having fun. And with that, we wrap up this Campaign of the Month. Thanks for reading and congratulations to SkidAce and all of his players. If you know of (or have!) a campaign that you feel deserves to be featured here, nominate them over on the forums and keep your fingers crossed. Until next month, so long everybody! I would like to thank Kallak and twiggyleaf and anyone else who worked to make this interview look so good. A great read, SkidAce! Congratulations to you and your team. I have been following this campaign for some time and it is so good to see you shine and hear about your team and your game. Keep on “having fun”.